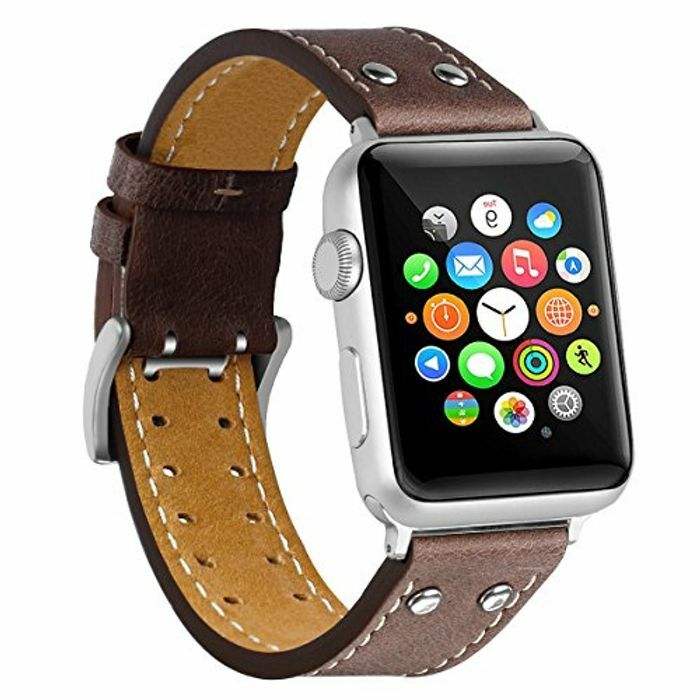 .100% Genuine Leather Band IBIKOU premium soft genuine leather band with fashionable craftsmanship, new stylish design, soft and durable, skin-friendly,comes with stainless steel polished Classic buckle, anti-slip. 2.Fit Size: It is designed for Apple Watch Series 1/2/3/4 Sport and Edition (2015, 2016, 2017,2018),42mm band for wrist size 5.9-8.5 inches.Precise multiple alternative holes allow you adjust the suitable size, with comfortable touch feeling on your wrist. 3.Easy Installation:Micro-spring loaded adapters feature durability and reliability, convenient to install and remove.It is very sturdy,not fall apart. 4.Unique Holes and Clasp Design IBIKOU genuine leather band for Apple Watch is designed with unique two rows of holes and square stainless steel buckle,with fashionable leather style and exquisite craftsmanship.more sturdy.It also makes your apple watch look elegant and original. 5.Our commitment to you: We go above and beyond to provide the highest quality product and first class customer service, if you are not satisfied,please contact us with no hesitation and we will work together to find a resolution.